Visit our cozy cafe and start your morning off with a specialty coffee and a homemade pastry. 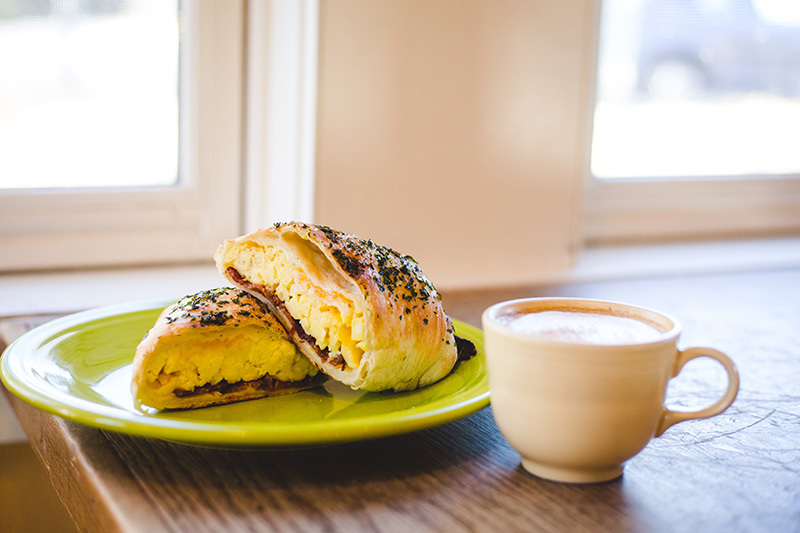 Or grab one of our famous savory pastry pockets filled with eggs, cheese and your choice of veggies, ham or bacon. 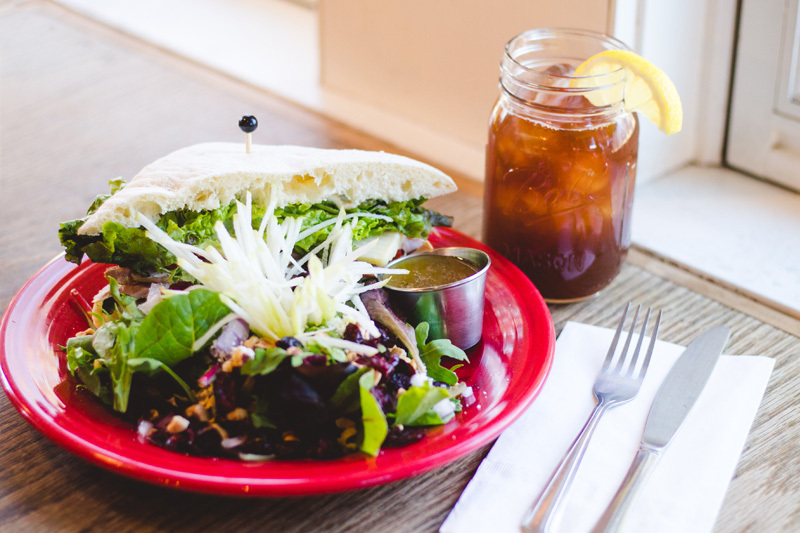 Eat inside or on our dog-friendly garden patio or grab it on your way to work or the mountain. Either way you’ll be fueled for your day. Join us for lunch, we have something for everyone. Our sandwich bread is baked in house and we stack them with hand sliced, quality meats and cheeses. We pile tons of veggies on our crisp salads. If it happens to be cold outside you won’t want to miss our hearty, housemade soups. Can’t decide? Order a little of each.